Non-invasive surgeries are on the rise, especially when it comes to making your skin look younger. With celebrities all over the television and magazines, you might be feeling a little self-conscious about your own facial features. Years before looking ageless was vital, it might not have been a huge deal if you had a few wrinkles here and there, but now, it can be a bit disheartening to see crows feet or wrinkles decorating your features. When you look in the mirror, you notice that your previously smooth and vibrant skin has started to sag in areas that you didn’t pay much attention to and wrinkles have began to form around your eyes. Botox can be a great way to treat those areas that are starting to show signs of aging. Don’t let age rule your life, take back control by getting Botox® and eliminate those wrinkles and crow’s feet. If you’re one of the many women who would like to take advantage of Botox® injections, then contact La Beauté Medical Aesthetics today to help you eliminate wrinkles and other signs of aging. Botox is a way to medically make you look fresh-faced and beautiful. It is FDA-approved to treat any wrinkles on the face, which makes this non-invasive medical procedure safe. The FDA has approved the treatment of lines of the forehead that range from moderate to severe. The amount of FDA approved Botox you need to treat wrinkles varies. At the frown lines, you can expect to use 10-25 units. The lines on your forehead range from 10 to 30 units and the crows feet around your eyes require five to 15 units. The FDA has approved Botox for 15 years and recently, the Food and Drug Administration approved a new Botox Cosmetic that offers a whole new wrinkle-smoothing procedure. Whether you’d like to treat crow’s feet or frown lines, the FDA has approved this beauty treatment that combats wrinkles on the face. While Botox is one of the more popular methods to help you look ageless, it’s not the only one. However, it’s one of the safest options since it is FDA approved and has minimal side effects. It’s vital that when you decide to go to our medical spa that you discuss the anti-aging options with your doctor to ensure it’s the correct one for you. Botox will treat muscular conditions and remove the wrinkles on your face by temporarily paralyzing the muscles. Botox is made from a neurotoxin that will temporarily freeze your muscles to remove the signs of aging. When you decide on this medical procedure, there will be some downtime, but you’ll notice the results within a few weeks. Botox can help you feel more confident about your facial features by getting rid of the effects of aging. 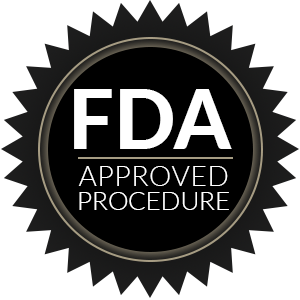 This FDA approved non-invasive medical procedure is one of the most common methods to treat aging because it’s non-surgical, which means that you don’t need to worry about a long recovery time. Botox will reduce fine lines and the wrinkles on your face by paralyzing the muscles underneath the skin. It’ll also help people who experience muscular disorders, migraines, excessive sweating, and even bowels disorders. Botox will block any signals between the nerves and the muscles, this will cause the wrinkles to soften and relax. This procedure is most commonly used to treat forehead lines, frown lines, and crow’s feet. Keep in mind that certain types of wrinkles, such as the kind caused by the sun or gravity, may not respond to Botox. It’s vital that you have a doctor administer Botox, even though it might be easy to get it online. We urge you to visit a doctor to get Botox injections. Will Your Botox Results Look Unnatural? Many people are hesitant to receive Botox injections because they fear their face will look frozen or unnatural. When you get Botox injections by a reputable and certified doctor, such as, Dr. Bachurina, you can rest assured you will see natural results. The procedure is relatively easy. We will dilute the powder in a saline and then inject it into the neuromuscular tissue. You won’t notice the effects for about 24 to 72 hours when the chemicals are finally taking effect. In some cases, it can even take a few weeks for you to see the effects. It’s vital that you talk to a doctor before getting Botox, especially if you have had previous allergic reactions. Botox is FDA-approved for anyone 18 or older. Due to the fact that everyone ages at different rates depending on their genetics and lifestyle, there is no “best age” to start getting Botox injections. So how do you know when you should start getting Botox injections? A good indicator to start using Botox is when your wrinkles are visible when your face is relaxed. This can range from your 20s to 40s depending on how well you have taken care of your skin and your genetics. At What Age Is Botox Ineffective? If you notice that Botox is no longer as effective as it used to be, speak with your medical aesthetician to discuss treatment options moving forward. Botox injections can hurt, however the pain is typically very minimal. The needles used for Botox injections are extremely small and Dr. Bachurina’s years of experience, up-to-date technology, and cutting-edge approach diminishes the pain. At La Beauté Medical Aesthetics, our patients’ comfort and satisfaction is of the utmost importance. Like any medical procedure, there will be downtime. However, it doesn’t involve bedrest or anything of the sort. Instead, you should expect downtime to be a few hours. It’s vital that you shouldn’t touch the area that’s been treated for about 12 hours or lay down for three to four hours to ensure that the Botox can be effective. When you get Botox, you should expect to talk to your doctor about some downtime after the procedure. When it comes to what you should expect for side effects, there may be some redness or a bump around the injection site. The most common side effects of Botox consist of temporary bruising. The less common side effects include headaches, which is rare, or eyelid drooping, which is also considered to be an infrequent side effect. The side effects are generally resolved about three weeks after the procedure. When Do Results Set In? When you get Botox, don’t expect to see results the next day. The results will set in and be noticeable; however, it will take a few weeks for this to occur. If you have a special event, then we recommend you get Botox a few weeks in advance. You will need to wait a few weeks to expect to see results, so if you don’t see any changes the day after your procedure, except some bruising, then don’t worry. The results will eventually become noticeable, but it will be within a few weeks before you begin to see changes. The results of Botox are not permanent and are influenced by many factors — dosage, muscle strength, frequency of Botox injections, sun damage, and more. On average, the results of a Botox injection last three to six months after treatment. Due to the fact that Botox weakens and shrinks the muscles, patients who regularly get Botox notice longer-lasting results. 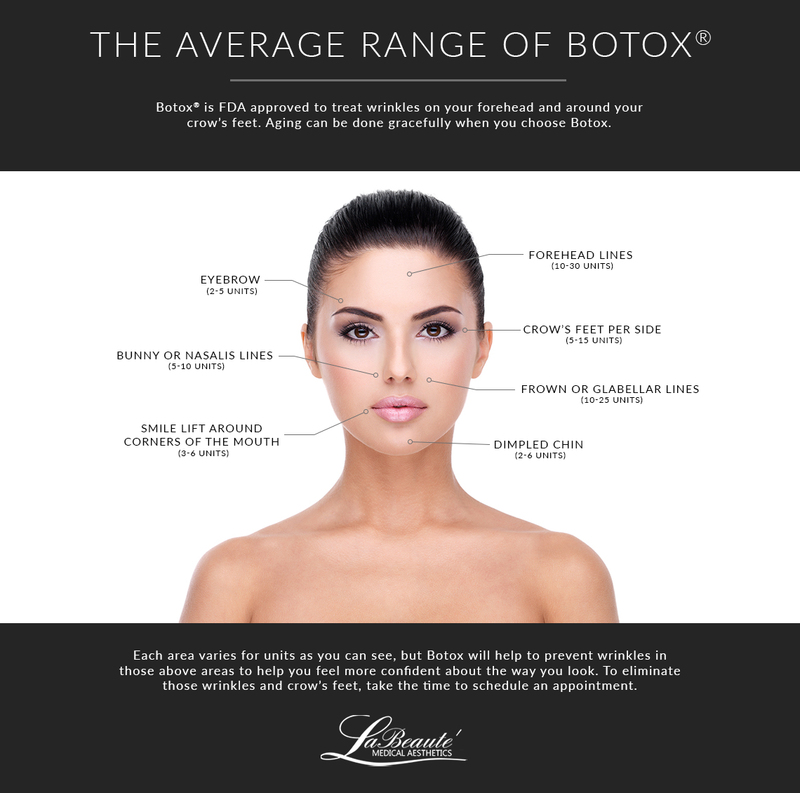 At La Beauté Medical Aesthetics, we offer Botox. What’s great about Botox injections are how they can help the look of your face for a long period of time instead of just temporarily fixing something you don’t like. Additionally, what’s great about non-surgical injections in your facial features is the lack of recovery time while still making you look ageless. While you might be a little sore after any of these injections, you can go back to a majority of your day-to-day activities. Just make sure to discuss post-care with your doctor. If you’d like to look ageless, then schedule a consultation with La Beauté Medical Aesthetics.